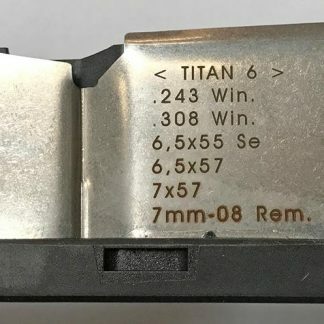 Titan Rifles, made in Austria by Roessler, feature sub-MOA accuracy right out of the box and an extremely versatile interchangeable barrel system. 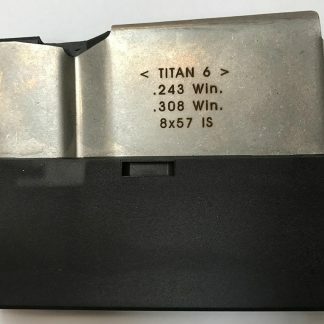 In April, 2015, Titan rifles received Gun Test Magazine‘s highest rating, and in December, the Titan 6 was selected as gun of the year. 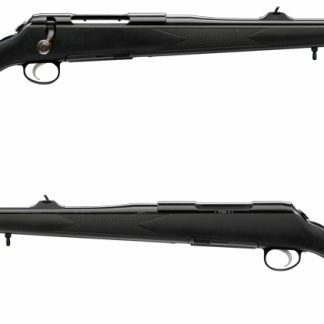 T R Imports is the exclusive U.S. distributor for Roessler rifles. We maintain a good selection available for immediate shipment. 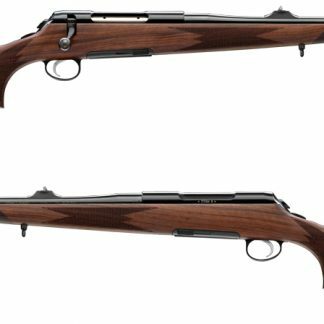 For standard configurations, such as you might find on your dealer’s shelf, you may simply select from the options offered for the rifles on this site and check out as you would when purchasing any other firearm. You should be aware, however, that we offer many options for customization, including a large variety of calibers, barrel lengths and diameters, metal finish, stocks, and triggers (standard or single-set). 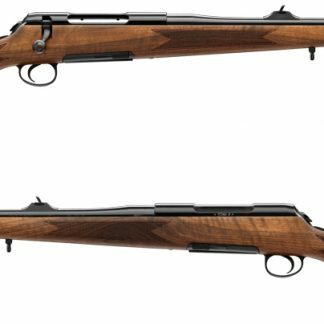 To customize your rifle, we provide here links to Roessler’s wonderful Configurator. Simply click on the link corresponding to the model (Titan 3&6; Titan 16; Titan Alpha) and make your selections fron the myriad options. When you have created the perfect rifle, print or save the result as a PDF, and fax or email it to us. We will respond with an invoice and delivery date. Upon receipt of your 20% deposit, you order is firm. New for 2016 – WYSIWYG Pricing! The Configurator will generate a retail price in Euros. The price in U.S.Dollars, of course, would be higher, and would also have to account for excise taxes, shipping, and import duties. Until further notice, we will guarantee that the price you see in Euros will be the delivered price in dollars! T R Imports will absorb all costs for shipping, duties and taxes. Click on one of the Configurator links below and put your imagination to work. Call (817) 750-2291 or email us if we can be of assistance.